Pocko Woods is contending for a top spot in the fight game, but not in terms of winning a championship belt or other traditional senses the phrase is commonly used when referring to a fighter’s career. 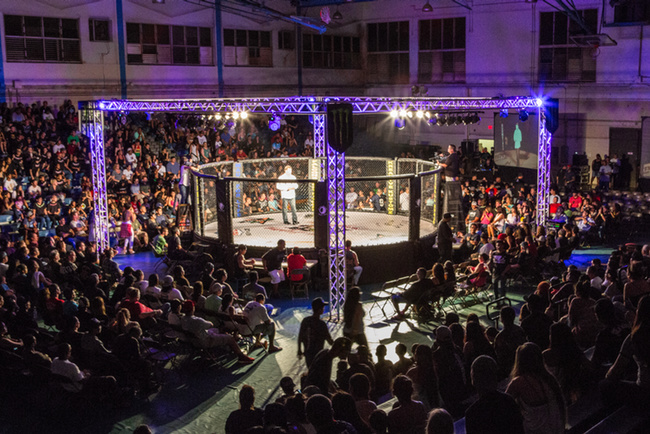 Instead, Woods is looking to take his promotional creation, the Maui Fighting Championship (MFC), to become one of the most recognized fight brands to come out of Hawaii. This year will mark his fifth year running the company, and according to him, MFC is already amongst the top three promotional outfits on the islands. Though the company holds its shows primarily out of Maui, Woods currently lives and operates most of the business from a temporary residence in the Honomu County on the Big Island. I pick him up in my rental car outside of his home and he suggests taking me on a tour to the nearby Akaka Falls a few miles down the road. There he tells me how his promoting career started. One of the first things I notice about Woods is his use of words like “shucks” and “frick” to substitute any potential for vulgarity. It is reflective of his overall personality, which to me upon first impression is typical Hawaiian—well meaning and friendly, two traits that he seemingly carried over in his motivations to becoming a promoter in the first place. 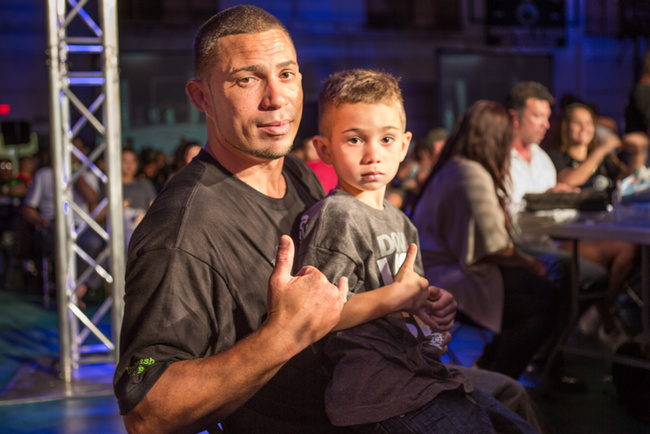 Much of that motivation comes from his own experience as a fighter. Woods claims to have spent anywhere between 3-5 years fighting competitively, though there is no solid evidence of his record to be found online since most of his bouts took place before Hawaii had a fight commission and were therefore labeled as non-sanctioned. There is, however, plenty of video footage of his fights and some dated threads on fight discussion forums had him ranked as high as the #4 featherweight in the state. He also speaks about his time in the cage with a noticeable nonchalance, so there doesn’t seem to be much motive for him to fabricate a fight career. Besides, what seems more important to him is what was accomplished in his life outside the cage, rather than inside of it. 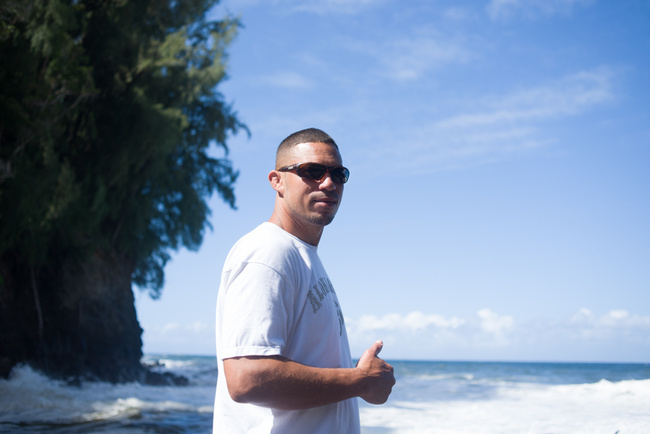 “I hate to say it, but we basically fought everyday here in Hawaii growing up, so it was an easy transition. The sport was kind of gaining popularity and it was something people liked to see. Plus girls were always at the events so it just seemed like the right thing to do,” he laughs. “It made me a lot more humble and I try to avoid altercations more than I would before. Once you start training, I guess you kind of learn to walk away and stay away from that stuff. It kept us out of trouble. 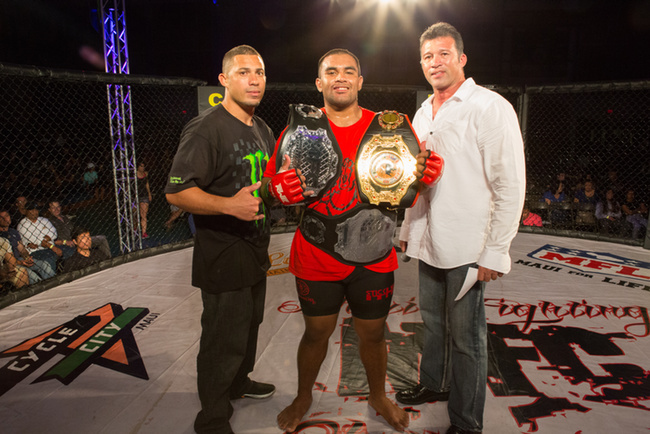 I know for a lot of the guys in Hawaii, if they weren’t fighting in the cage, they’d be fighting on the street. It’s a little bit better for them. It teaches them morals, and how to carry themselves and stuff like that because their coach isn’t going want to train them if they’re out fighting every weekend at the bar. I think it helps out in the community. A lot of people don’t want to see it like that, but to me it totally does, because I know it changed my life, you know? It’s been five years since Woods last stepped in the cage, a time period that runs in exact accordance with the age of his son. He says that he’d never step into a match without having properly trained, and the commitments of having what he defines as an adequate training schedule proved too time consuming for the obligations of fatherhood. Now with a son, he also wanted a job that involved less physical risk, though still relatively close to the scene. Fight promotion made the most sense. His past experience as a fighter does help though. Fighter turned promoter is a formula that has happened in the past, at least it happens all the time in boxing. De La Hoya went on to form one of the biggest boxing promotion companies in Golden Boy Promotions and a number of other fighters have made similar attempts with varied results. But Golden Boy also had Richard Schaefer at the helms, and promotional ventures are often done in collaboration with professionals experienced specifically in the fields related to marketing a fight. Woods, on the other hand, goes into an event with maybe two other people (often times friends or family members) and has to confront the pressures of the trade first hand. To date, Woods has thrown seven shows under the MFC banner, and the learning curve has been steep. While his stint at Unorthodox Promotions gave him a blueprint on things like budgets, matchmaking and other logistical operations, mostly all of his experience comes from learning on the job. The biggest challenge has come in the form of licensing and permits from state authorities, along with the messy negotiations that often arise when ideals and friendship intersect with money and business. There were a couple of times where he almost left the entire venture behind, but his past experience as a fighter also proved helpful during the tough times, and has kept him on course to the original intention in the face of material distractions. See more of Shaya Tiare Collins’ work here.